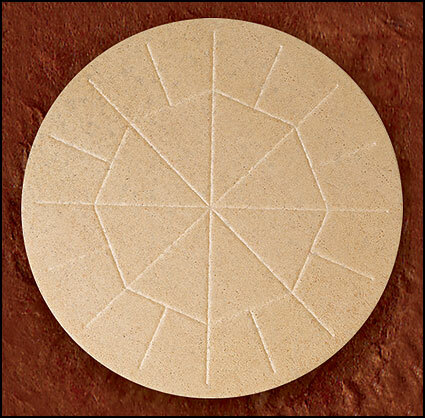 These are large Communion wafers made using a unique baking process which rolls and seals edges of each wafer to prevent breakage and crumbling. These extra large unleavened wafers are scored so they will easily break into 24 pieces without crumbling. 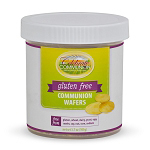 Beautifully packaged in quantities of 25 wafers per box, these Communion wafers are baked from a simple unleavened recipe of unbleached whole wheat flour and water. 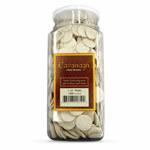 Large Communion wafers measure 5.75 inches in diameter.